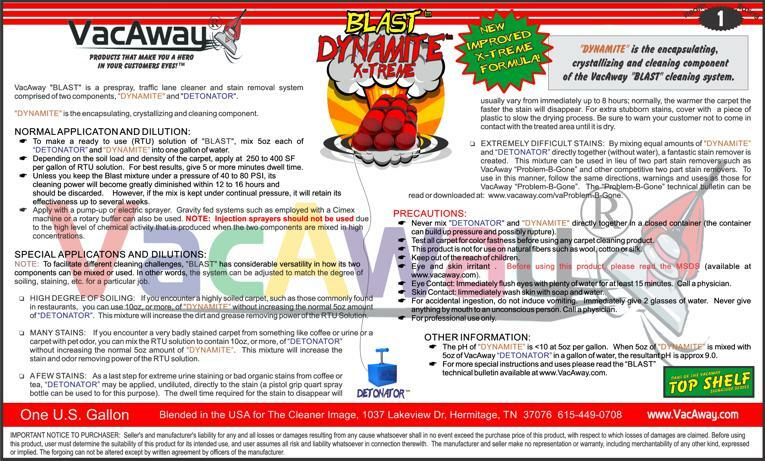 PLEASE NOTE: Only the Dynamite component of BLAST can be added to your cart from this screen... If you want to purchase both Dynamite and Detonator together please Click Here. From david coulter of clear lake, Iowa on 9/19/2015 .